Sanhita Nandi is an exponent of Hindustani Classical Vocal, Kirana Gharana in the Khayal and Thumri genres. After initial training, Sanhita was later groomed by Late Pandit A. Kanan, the senior most Gurus of the ITC Sangeet Research Academy, Kolkata. She got added exposure under Pandit Vinayak Torvi in Kirana and Gwalior traditions. This opened up the large canvas of vilambit to fast tempo tarana gayaki(style) that has been developed over the last 150 years in India by various gharana maestros. Notable among today's matured generation of serious exponents of Hindusthani classical music Biswajit Roy Chowdhury stands out not only for his singular commitment to music, but also for his conscious combination of the best of his varied training and thought.. Biswajit Roy Chowdhury showcases this integration of aesthetics when he plays as varied items as a auchaar and gat in Darbari or Shyamkalyan, a khayal in Bihagda or Shahana, a bandish ki thumri in Khamaj or a tappa in Adana-bahar, on his Sarod. Shrikant Deashpande is the grandson of Late Sawai Gandharva ,who was an exponent of the Kirana Gharana and Guru of Pt Bhimsen Joshi. Shrikant was initiated into the intricacies of music by his father, Late Dr. Vasant Deshpande, also a disciple of Sawai Gandharva. 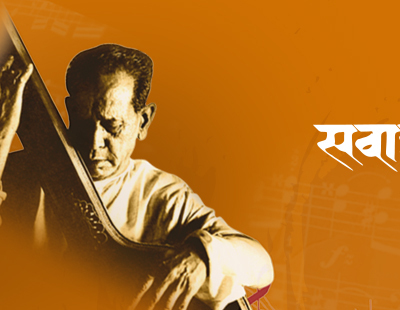 Later he was under the tutelage of Mrs Sarswati Rane, Pt Bhimsen Joshi and Pt Feroze Dastur. Gifted with a mellifluous voice marked by depth and range, Shrikant has developed a distinct style of his own. He has performed at a number of prestigious concerts in India as well as in Canada, US, UK and the Far East. Qualifications: Masters of Fine Arts(Music-Vocal) from the University of Mumbai. Chandrashekhar hails from a family that literally breathes music and art. His maternal grandfather Late Shri Mama Pendse was a revered and highly respected Gurutulya Marathi Stage Artiste. His father Pt. Raghunath Vaze is a gifted Vocalist and a composer,was the first to sow the seeds of swara and laya while nurturing the musical talent so evident in the young Chandrashekhar.